OK Select Germplasm little bluestem (Schizachyrium scoparium). A multi-population, selected native germplasm (non-cultivar) release from Knox City Plant Materials Center (Knox City, TX). This germplasm is appropriate for use in rangeland re-seeding, prairie restoration, backyard “pocket prairies”, and roadside re-vegetation work. This germplasm is currently on TxDOT’s seeding specifications list for about 30% of its work areas, as it is currently the only commercial germplasm available on the market that is suitably adapted to the aforementioned region, and has shown far better planting performance and persistence than other little bluestem germplasms used in the past; especially those listed as “VNS” and “wild harvest”, or with genetic origins too far from planting sites (i.e. “Aldous”). 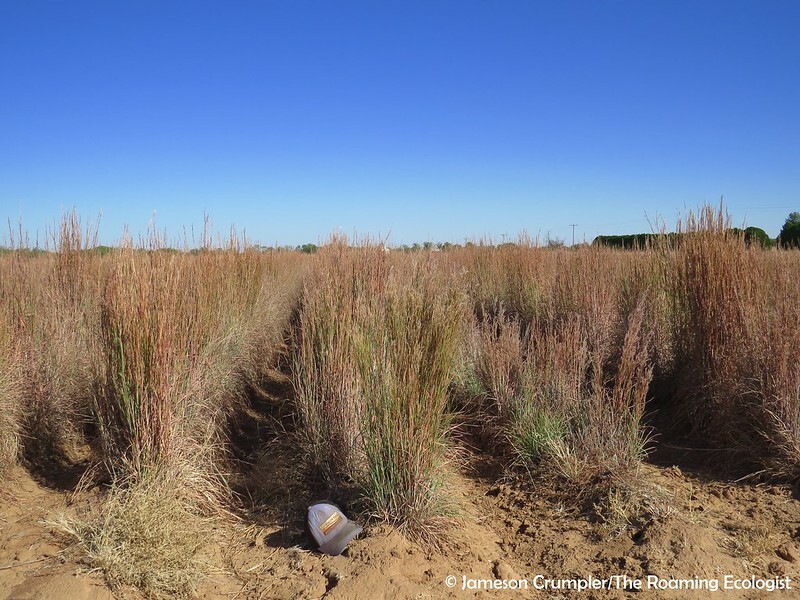 “VNS” and “wild harvest” germplasms have shown little promise for large-scale restoration plantings or roadside re-seeding work in Texas. Such seed types generally accelerate planting failure within 2 years by creating weak population gaps in which exotics are able to infiltrate and gain footholds. This release performs well in the North Central Texas area, broadly delineated as along and west of US Hwy. 81, along and north of US Hwy. 180, along and east of TX State Hwy. 70, and along and south of I-40, as well as the Southwestern Oklahoma counties previously listed (see map below). Other little bluestem germplasms are currently being evaluated against OK Select for use in North Central and Central (Hill Country) Texas by the Texas Native Seeds project of the Caesar Kleberg Wildlife Research Institute. A future little bluestem release with genetics from within the state of Texas is forthcoming, pending final evaluations. Per the Native Seed Network (nativeseednetwork.org), OK Select is currently being grown by Bamert Seed Company. Help create increased demand for ‘OK Select’ by requesting this germplasm at the above-mentioned seed dealer or your favorite seed dealer! OK Select Germplasm little bluestem breeder seed field. Knox City Plant Materials Center, Knox City, TX. A general outline of the area in which OK Select can be expected to perform well. Future plant releases will share overlap with these boundaries. Tagged backyard pocket prairies, backyard prairies, Little Bluestem, native plant materials, native seeds, NRCS Plant Materials, OK Select Little Bluestem, Texas Native Seeds. Previous Post Why Seed Origin Matters: Any Seed Will Do?